JEI Casinos | Jacobs Entertainment Inc. 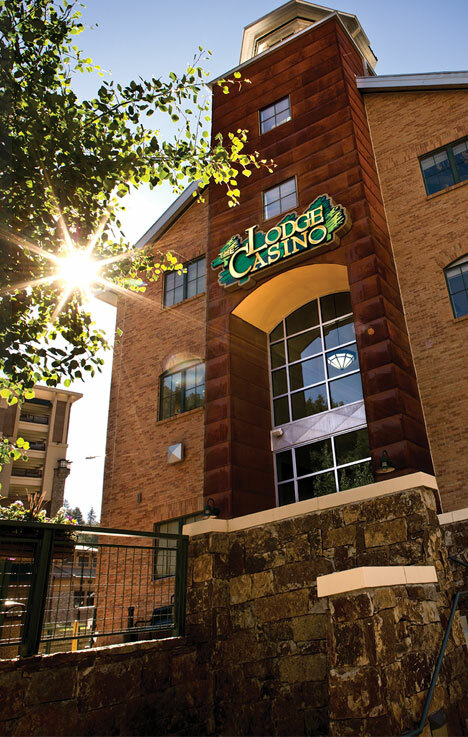 The Lodge Casino in Black Hawk, Colorado, is our flagship property. The Lodge Casino opened its doors in June 1998, and was the first casino in Black Hawk to offer on-site restaurants and hotel rooms. At the time, it was the largest casino in the state, and today is still one of the largest casinos in Colorado. The property features more than 52,000 square feet of state-of-the-art gaming space. The Lodge Casino has four delicious restaurants. Tempt your taste buds with the many options at the all-you-can-eat Seasons Buffet! If you are in the mood for a quick bite, Jake’s Deli is the place, and if you want fabulous fine dining, you can’t beat the White Buffalo Grille. Plus, you can satisfy your sweet tooth with a tasty treat from Java-n-Crème. With nearly 1,000 slot machines, 23 table games, four bars and 50 spacious boutique hotel rooms, The Lodge is your 1st Choice for Fun whether you’re a single-day visit from Denver or looking for the ideal weekend getaway spot. The Gilpin Casino, established in 1992, was one of the first casinos to open in Black Hawk, Colorado, following the legalization of gambling. 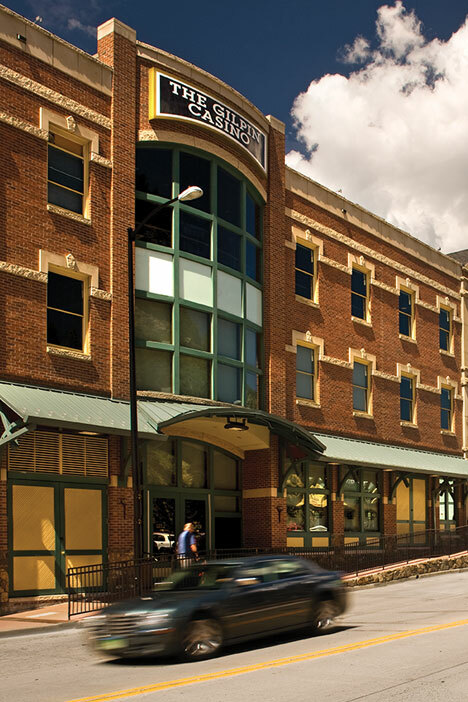 Situated in the heart of the storied gaming district, this historic building which originally opened in 1869 as a hotel, now offers the same “Old West” charm but with the added modern conveniences of today’s casinos. The Gilpin Casino encompasses more than 37,000 square feet with 400 slot machines, electronic video poker as well as blackjack, craps and roulette. The Gilpin Casino is also known for its famous Lucille Malone’s Restaurant. The restaurant was named after a young woman who jumped to her death a century ago after learning her lover was run over by a wagon in front of the hotel. Legend has it that Ms. Malone’s ghost still haunts the premises. Fabulous food, friendly staff and 24-hour gaming excitement – The Gilpin’s Got It! The word is getting out. If you want to go where the locals go for gaming action, look for the casinos named Gold Dust West in Reno, Carson City and Elko, Nevada. You’ll soon find out why their tagline is “Your House Full of Friends”. Known for their generous promotions, they also offer a terrific members-only VIP Card program. 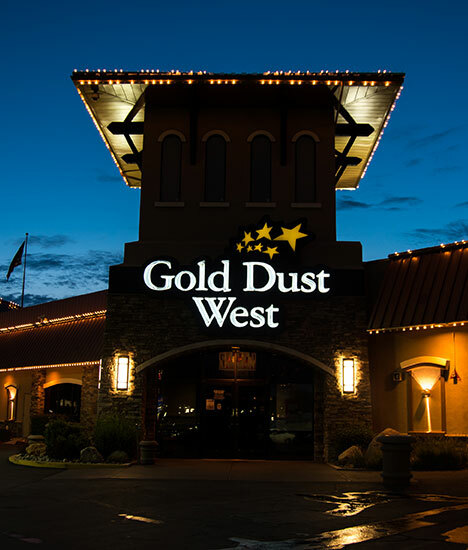 The Gold Rewards Card makes each visit to a Gold Dust West casino a truly rewarding experience. Members can earn E-CASH rewards and comps, free entries into drawings for great prizes, and receive valuable monthly mailers that are chockfull of special offers! 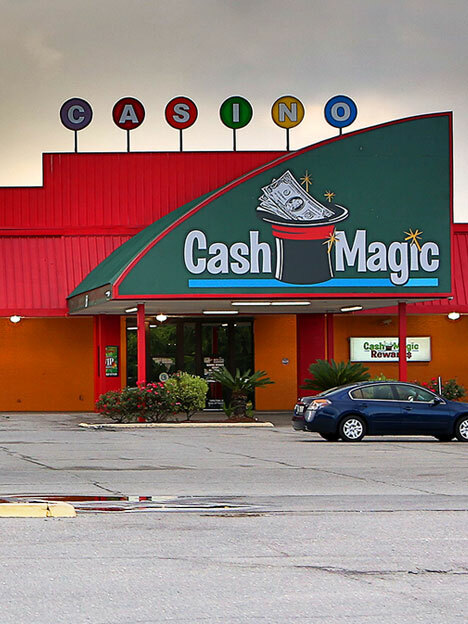 The Louisiana Cash Magic Truck Plaza & Casino incorporates 23 video gaming facilities situated throughout the state. Each site features a convenience store, fueling operations, a restaurant, and up to 50 video poker machines. The video gaming machines are located in a separate gaming room which offers a pleasant casino-like atmosphere and provides the road weary traveler an exciting break from the road. As an additional benefit for our customers, the Cash Magic loyalty program, gives players extra value and rewards every time they visit any of our 23 casino facilities. 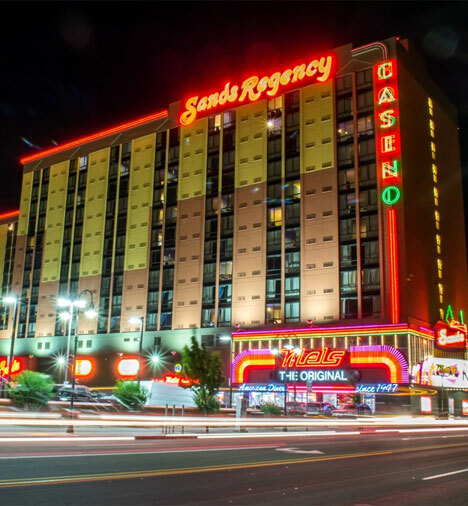 The Sands Regency in Reno, NV is our most recent acquisition, joining the JEI portfolio in July 1, 2017. The Sands is a full service hotel casino with over 800 rooms and a wide variety of Slots and Table Games including Blackjack and Live Poker, plus a dedicated Bingo Room. The property offers five unique dining experiences including The Buffet at the Sands, The Copa Bar and Grill, a casual dinner house featuring steaks and daily specials, the Cabana Café for quick breakfast and lunch snacks, Tacos Tijuana and the Original Mel’s Diner, serving old-time favorites, ‘round the clock. Sands amenities include a penthouse-level Health Club with picturesque city and mountain views, plus the largest outdoor pool in downtown Reno.